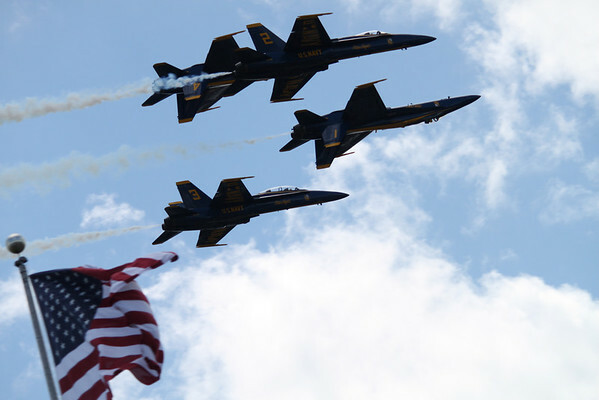 Submitted By: Roberta Benedict From: Grawn Description: Blue Angels 2010! Flying over an American Flag on the 4th of July. I thought this was awesome and very patriotic. The picture was taken at APACHE TROUT GRILL during the Blue Angel Pig Roast 2010.